Today, finally a color e-ink display, but no e-reader yet. Also, a look at how Hollywood influences library purchases in Australia, a new ComiXology subscription service, the discontinuation of the Nexus Player, and new standards for captions and subtitles. In deals, 60% off some great luggage sets and $20 off Battleborn for the PS4. Twitter introduces 4 big changes that will make tweets much easier to send and read (PC World) Names and pictures won’t eat into your limit anymore! And a few other good things will be coming soon. Of course, not everyone is happy about these changes. Google pulls the plug on the Nexus Player (Liliputing) So long, Nexus Player. You’ve been discontinued. E Ink brings rich color to ePaper, but not to e-readers (Techcrunch) We are getting closer to that color e-reader everyone wants, but we;re not anywhere close to a color e-reader yet! Accessibility Standards: World Wide Web Consortium (W3C) Expands Work on Captions and Subtitles for More Accessible Video Content (Infodocket) New global guidelines so that the caption and subtitle experience is more consistent world-wide. 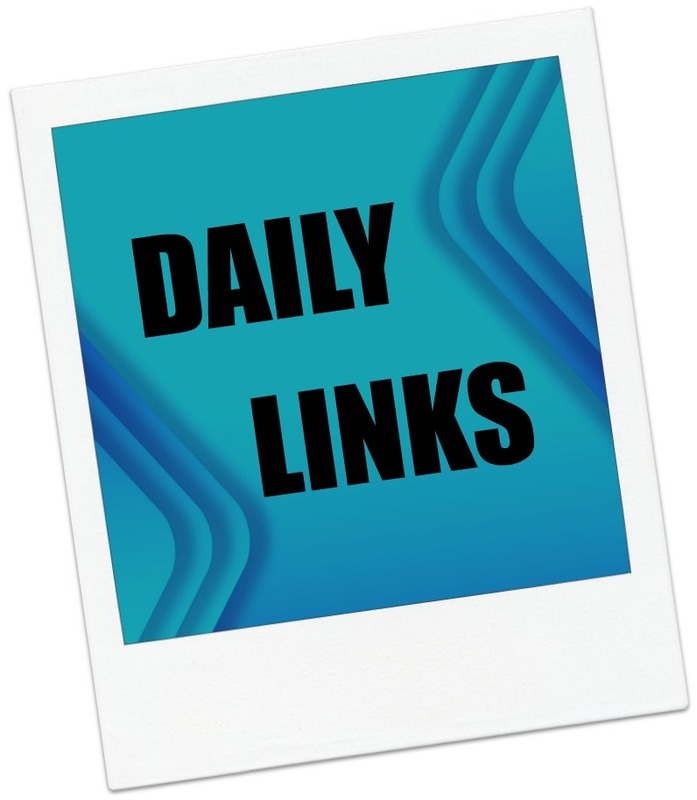 New Email Alerts and RSS Feeds on Congress.gov (In Custodia Legis) If you track different legislation, this is a great new tool! This is replacing Thomas and will be a LOT easier. Hollywood films drive Australian library book tastes (SMH) Libraries have to concentrate on the titles that readers ask for. In Australia, books buoyed by film adaptations seem to be getting the lion’s share of the interest. Amazon’s selection of Kindle Daily Deals includes The Starbucks Experience: 5 Principles for Turning Ordinary Into Extraordinary by Joseph Michelli for $1.99. In Today’s Deals, save up to 60% off luggage & accessories. Also, you can save $20 on Battleborn for the PS4. The Barnes and Noble Nook Daily Find is The Shadow Revolution: Crown & Key by Clay Griffith, Susan Griffith for $1.99. The Romance Daily Find is Mr. Darcy Forever by Victoria Connelly for $2.99. Kobo’s Daily Deal is Infinity: Chronicles of Nick by Sherrilyn Kenyon for $1.99. The Extra Daily Deal is Damaged by H.M. Ward for 99 cents. iTunes’ Weekly Bestsellers Under $4 includes Do Fish Drink Water? Puzzling and Improbable Questions and Answers by Bill McLain for 99 cents. Yesterday, Amazon announced the Kindle Audio Adapter and VoiceView for the Paperwhite. 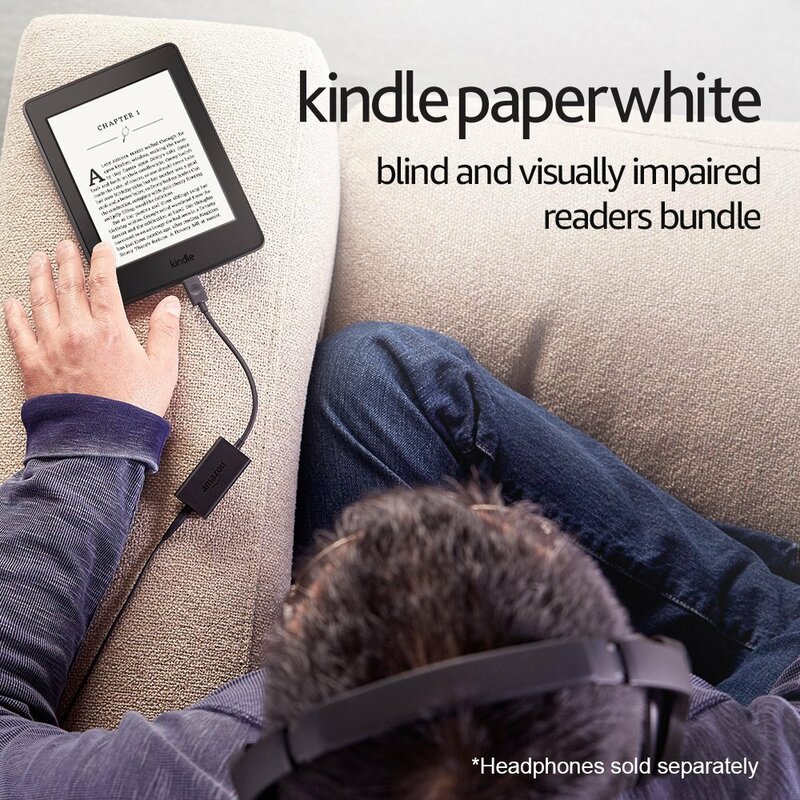 The dongle, which would help the visually impaired navigate menus and read via text-to-speech was only included in a special accessible Kindle Paperwhite bundle. As soon as the news came out about the new Kindle Audio Adapter yesterday, a flurry of posts started on Kboards, Mobileread and the Amazon forums with people saying they wanted one. Well, it turns out Amazon didn’t keep us waiting too long! Today, the adapter is available for purchase separately for $19.99. The adapter is compatible with VoiceView for Kindle on the Kindle Paperwhite – this is the 7th generation device. It plugs into the micro-USB charging port on the Paperwhite. The device requires headphones which are not included with the dongle. It looks like you could also use a speaker with a 3.5mm jack for listening as well. As I noted in my post yesterday, the battery life while using the adapter is only about 6 hours of continuous use and you will not be able to charge the Paperwhite while using the dongle. I ordered mine today to try it. Are you interested in trying the adapter? And have you seen any titles listed as VoiceView compatible? If you’ve still been hoping for Amazon to bring back the text-to-speech for the e-ink Kindles, you may be out of luck. The death knell for that sounded today when Amazon announced it’s new VoiceView For Kindle feature today. 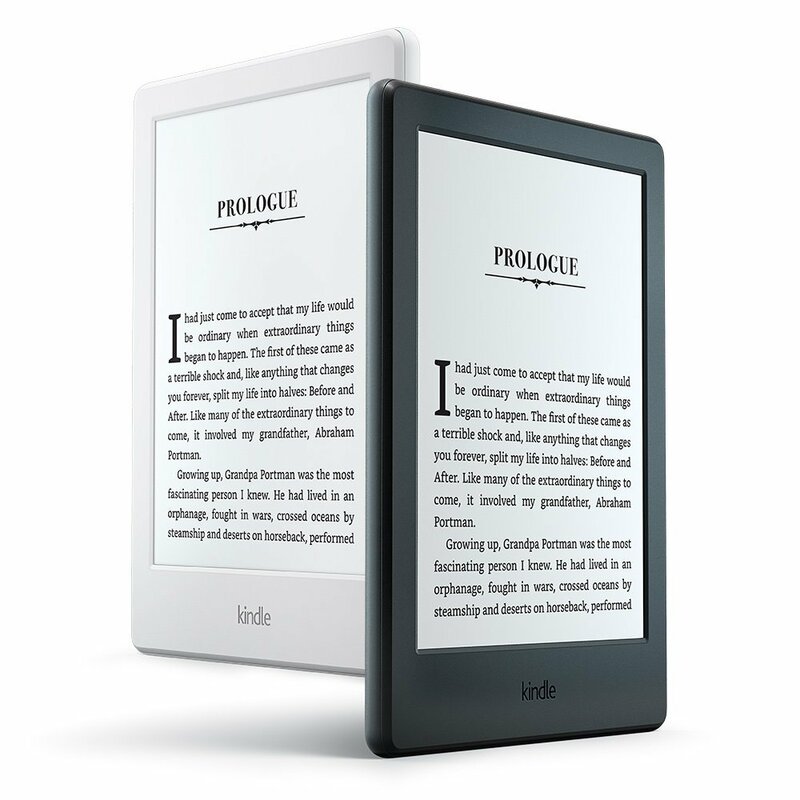 The feature uses Amazon’s text-to-speech language system (Ivona) to help visually impaired customers navigate the Kindle Paperwhite. Visually impaired customers will be able to use VoiceView for Kindle with the new Kindle Audio Adapter—an Amazon-designed USB audio dongle—to connect headphones or speakers, which then allows the ability to listen to and navigate the user interface, in addition to listening to books. The Kindle Audio Adapter was designed specifically to be used with VoiceView for Kindle. The new Kindle Audio Adapter is available now as part of the Kindle Paperwhite Blind and Visually Impaired Readers Bundle. The bundle includes the Kindle Paperwhite with Wi-Fi and Special Offers and the Kindle Audio Adapter. 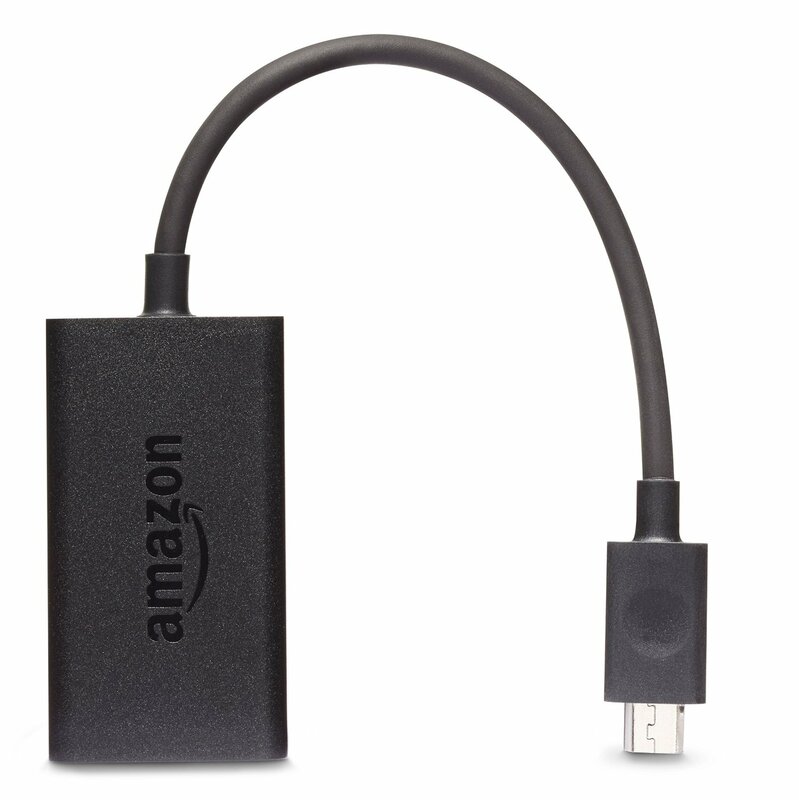 According to Amazon, purchasers receive a $19.99 Account Credit back for the purchase of the adapter, “so they won’t have to pay extra for accessibility.” The dongle is promised to be available at a future date for other Kindle e-readers. Update: the adapter is now available separately for $19.99. New story here. My reaction to this? I am seriously underwhelmed. IMHO, the hardware dongle is the wrong approach and one much too late in coming. As a bit of background, I should note that I myself am vision impaired. In the past, I worked managing federal grants (which included monitoring ADA compliance issues) and had also represented my community at an Easter Seals Project Action Seminar. So this is an area that really interest me, personally and professionally. Text-to-speech has been a thorny issue for Amazon since the feature was first introduced on the Kindle 2. The Authors Guild strenuously objected to the feature and claimed it was, in fact, illegal. Amazon finally backed off and let the publishers decide whether text-to-speech should be enabled on a title. While the Kindle Keyboard, the Kindle DX and the 2012 Kindle Touch were text-to-speech enabled, subsequent models have not included the feature. Will there be a software update for current Paperwhites? It will be interesting to see how Amazon handles that issue (if at all). According to ADA regulations, Amazon can’t legally charge for the adapter, so I really doubt that we will see the item available separately. Notice the difference in battery power. Current Paperwhites are supposed to get 30 days use at a half an hour of use per day or the equivalent of approximately 15 hours. That’s two and a half times the battery life you will get when using the dongle. That battery life becomes a real concern as the dongle is using the same port that the Kindle uses for recharging. That means that you cannot use accessibility features and charge the Kindle itself at the same time. I see that as an issue that is going to severely limit the usefulness of the connected Kindle. I intend to be watching this feature very closely to see how this story develops. We will see how this new feature actually performs in practice. It will be interesting to see if Amazon opens this up to existing Kindles and just how quickly it rolls out to other Kindle models.